He was not enjoying the work. He was feeling he is not paid well. He was upset with the relations he had with his colleagues and seniors at workplace. There was nothing motivating for him at the office. He hated what work he did. These are common feeling we all go through at some point in time in our work life. Where do such thoughts come from? The answer to this question is our own belief system. There was one point in time even I had similar thoughts coming and it leads to frequent shifts in the job. During my course on changing belief system, using concepts of Louise Hay, I could identify the reason for these frequent shifts and dissatisfaction. All I learnt from Louise was, “We can find the successful job only when we change the way we look at the work we do.” This really changed my career. 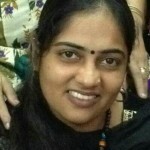 I joined HDFC Life and achieved great success. I learnt and work for more than 9 yrs with HDFC Life, the longest tenure in an organisation, I worked with. Yes, you correctly read, ‘I learnt’. More than a job it was my grooming classes. With wonderful leaders, I got opportunities to explore my untapped potentials. So how could this happen for me? The change in approach. Job success totally depends on the way we look at it. I have seen so many people complaining about the lack of success in career, dissatisfaction at work, the dissatisfaction of income, etc. the fact is you are in the job that you have attracted for yourself in the past. After changing my belief about work and job success, I got the opportunity to work with HDFC Life. Job success came to me simply by being positive about all that I did at work. Do you bless your boss with love? Do you bless your co-workers with love? Do you bless the place/location, where you work, with love? Do you bless all the things you use at the workplace with love? The answer is ‘NO’ for most of us. We are not creating the loving atmosphere at the workplace and then we complain no one loves us at work. Do you criticise about your boss or manager or superior? If Yes, you get the same from your subordinates. Do you appreciate your subordinates? If No, you also feel the lack of appreciation and motivation from your seniors. It is very simple. What you sow, so you reap. Now, I suggest beginning with the change. I will help you with few tips, I implemented for my job success. They are simple to do and give great results. All you need to have a positive approach, mindset towards change and consistency. Before you leave for work in the morning, sit in a calm place, in the comfortable position. Try and observe your breathing. Thoughts would flow. Try to come back to your breathing awareness. Slowly you will develop silence in your mind. Just 10 minutes of silence in mind makes wonders. Now you are ready to begin your day. Have some positive affirmations printed in bold letters at your desk, such that you can see it frequently while working. I had some on my desktop. Picked from Louise Hay daily affirmations. 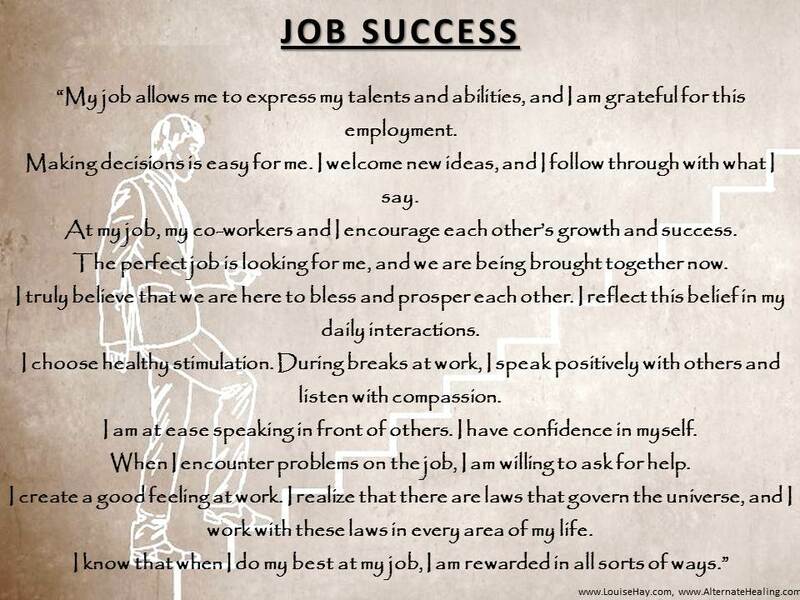 Have your daily affirmations for job success that you may want to repeat at least twice a day. 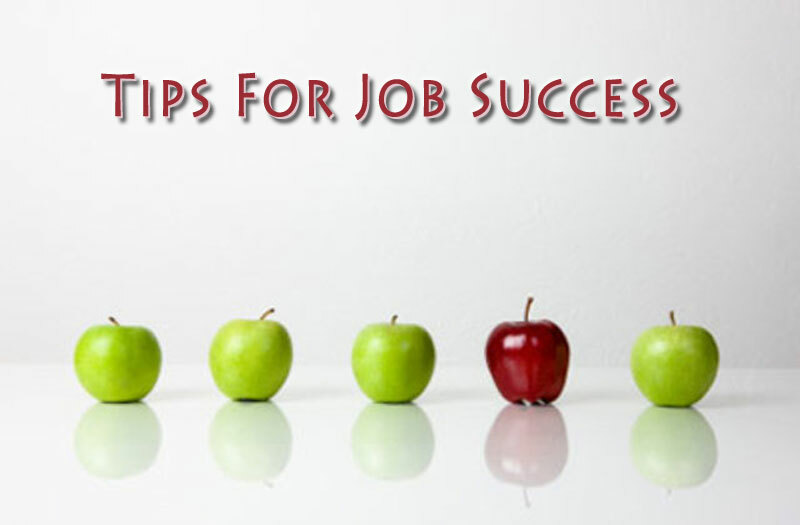 Try these 3 Tips for Job Success and experience the change. I have experienced it and so you can too. All the best for your job success. For any sort of clarifications of the product, orders, price, shipping charges, etc. or guidance and counselling, mail to alternatehealing.net@gmail.com or call 09867152220. Follow me on Facebook for regular updates.